We all love BBQ season and therefore here is my favorite steak recipe. 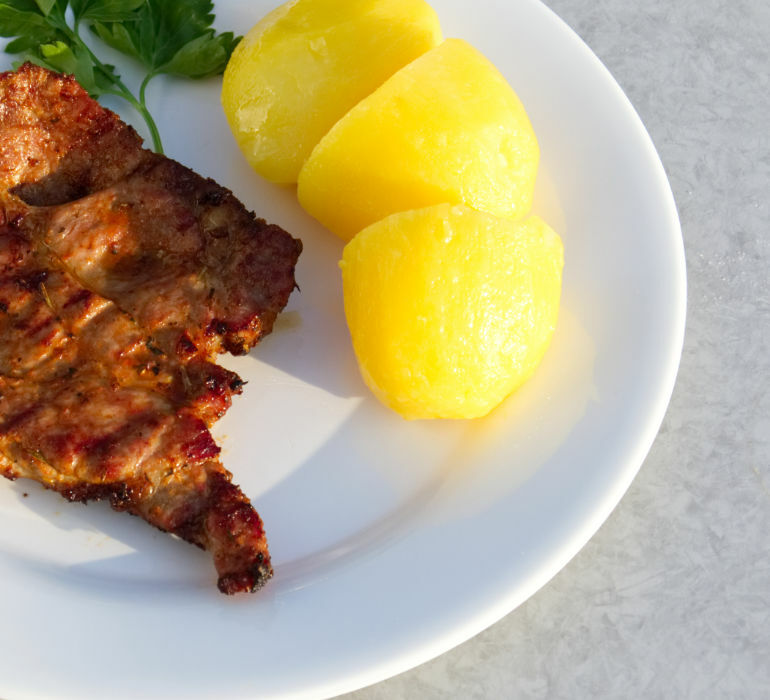 This will be typical hearty polish recipe, so you will not find in the ingredients something like soya sauce or honey. The marinade is easy to prepare and the steaks are delicious. The meat tastes better if you leave it in marinade overnight. How to marinate pork neck steaks? You need to place all ingredients in the bowl, mix them and leave in the fridge overnight. The steak will be good seasoned and very soft – exactly how it should be!